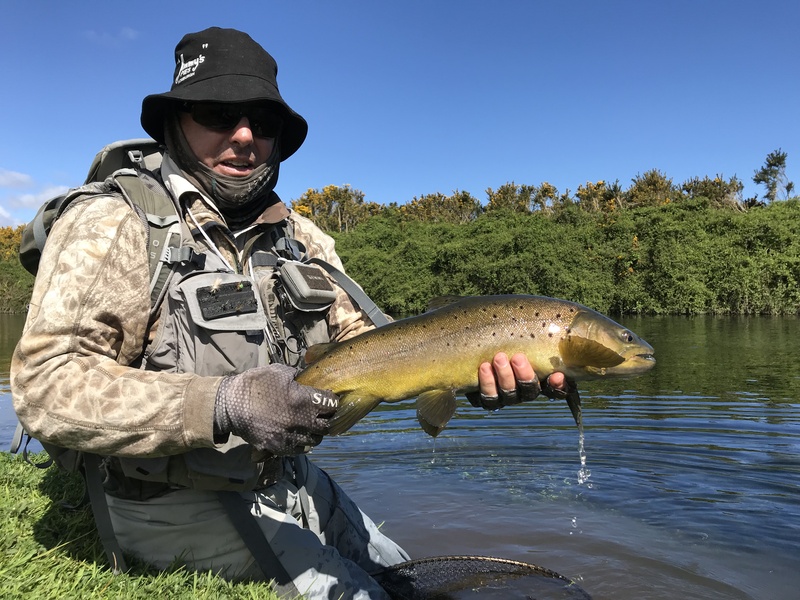 The start of November sees all local fisheries open, with the exception of the Upper Ahuriri (December 1) and Twizel region (Nov 3). Unfortunately there have been some significant storms making the fishing hard in many areas during October, and this looks set to continue into at least the first week or so of November. Anglers with good local knowledge will want to look for smaller streams that drop quickly after rainfall. Often the fish in the inflowing rivers locally are rainbows that are either spawning or have just spawned. They are relatively easy to catch – most bright beadhead nymphs will work. Treat these fish carefully when releasing them, and be aware when walking up the gravel beds to not step on the spawning areas (these are they fresh clean gravel patches) that the trout have used to deposit eggs. Also note that they are poor eating at this time of year – the flesh fall apart easily and is very pale. There are some good brown trout around the local lake margins, feedings on mainly bullies – this it a good option if the river fishing is blown out. Look also at Lake Benmore, which is having some fantastic midge hatches on still mornings. This fishing is skilful but rather frustrating at times – you really earn your fish! Make sure you check your fly line for cracks. Loon “Linespeed” is good to prolong the life of your fly line, as well as making it easier to cast. Change your old leader out for a new one, and buy some new tippet – it does deteriorate with age.